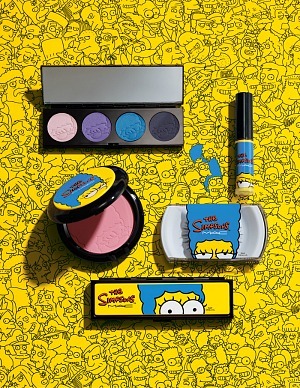 When we first heard that MAC would be creating a collection inspired by The Simpsons matriarch Marge, we were skeptical. After all, how could that iconic blue beehive translate into wearable makeup? However, MAC just released the first images of the collection, and we’re pretty impressed. According to WWD, the 10-piece collection includes eyeshadow palettes, lipglasses, blush, nail stickers, and false lashes, with prices ranging from $16.50 to $44. 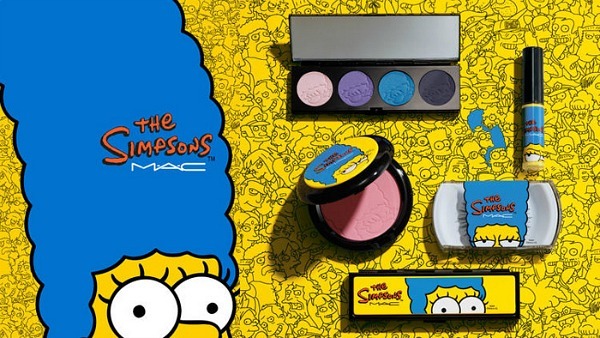 MAC’s Marge Simpson collection will be availableonline starting August 28 and in MAC stores starting September 4. But if you plan on attending San Diego Comic-Con, listen up: the collection will be available before the official launch for one day only during Comic-Con. You can snag the collab exclusively at MAC’s Gaslamp store in San Diego on Saturday, July 26. What do you think of this collaboration? Are you a fan of The Simpsons? Would you wear any of this makeup or do you think it’s too out-of-the-box? As always, tell us what you’re thinking by leaving a comment!